When LeBron James first entered the NBA straight out of St. Vincent-St. Mary high school, he wore No. 23 in honor of Michael Jordan. This week he seems to have taken another cue from his Airness — proposing to a longtime girlfriend. 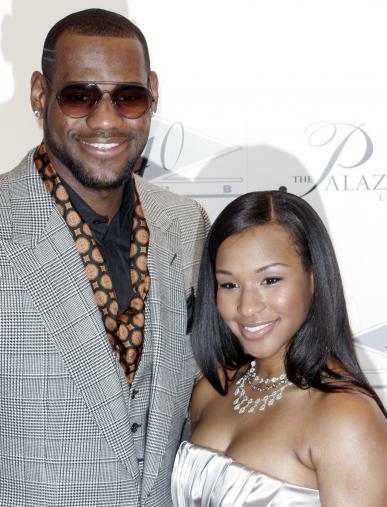 On New Year’s Eve, James proposed to Savannah Brinson, his high school sweetheart and the mother of his two children, just days after MJ got engaged to model Yvette Prieto. In the early hours of 2012, Miami Heat owner Mickey Arison tweeted his congratulations to the couple, who was ringing in 2012 at a bash at the SL Nightclub in South Beach. Congrats to Lebron. @KingJames and Savannah so happy 4 u guys. According to the Miami Herald, the New Year’s Eve bash also doubled as a birthday for party for James, who turned 27 on Friday. Among the glitterati in attendance the along with members of the Miami Heat were Queen Latifah and Lauren Hill. Shortly after James infamously announced that he would be taking his prodigious talents from the couple’s home state to South Beach during “The Decision” in July 2010, Brinson admitted that Miami wasn’t her first-choice destination and even discussed her hopes for marriage with Harper’s Bazaar. Although an NBA championship ring continues to elude him, James is now on his way to wearing one that he will hopefully consider even more important — a wedding ring.